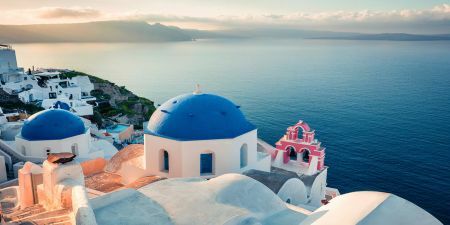 Greece and Turkey entry visa. Upon your arrival at Istanbul Ataturk International Airport or Sahiba Gokcen International Airport to start your Turkey Greece Tour with Memphis Tours, your driver will meet you in the arrival and transfer you to your hotel. Rest of the day is your own leisure. Overnight in Istanbul. 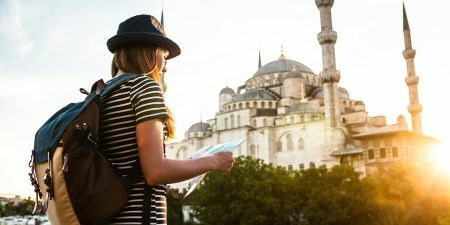 After your breakfast at hotel, enjoy a full day tour of the Sultanahmet area which is the UNESCO recognized heart of old Istanbul and enjoy your lunch. Our local guide takes us to Hagia Sophia. Built in 537 AD as world's first large dome building it was the religious focal point of the Orthodox Church before its conversion in a Muslim Mosque. We have a look at its many unique decoration from Byzantine and Turkish periods. Then we enjoy a short walk to Blue Mosque. Built in 17th century it owes its fame to the exquisite blue Iznik Tiles on its walls. Next, you will see the German Fountain which was a gift of Kaiser Wilhelm 2. We then go to Grand Bazaar. Following introduction by our guide at a recommended store we will have some free time to browse its 1 200 spice and gold shops. Then we visit the amazing Topkapi Palace. Our guide gives a tour at the gardens halls where we view staggering collection of imperial and religious treasury golden thrones and emerald crowns. Next place to see is Hagia Irene Church (from outside). Our final place of interest is Church of Sergius and Bacchus today known as “Petit Hagia Sophia Mosque”. 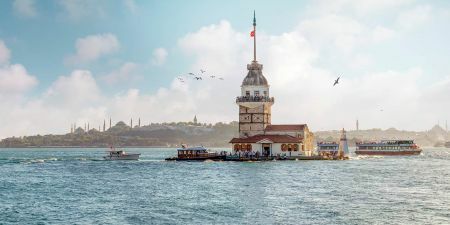 After your breakfast at hotel, our driver will pick you up from your hotel and short drive brings us to the Eminonu Pier where we embark on a Bosphorus ferry for a 1,5 hours long breathtaking cruise along the Bosphorus strait which runs right through Istanbul city and also between Asia and Europe continents. 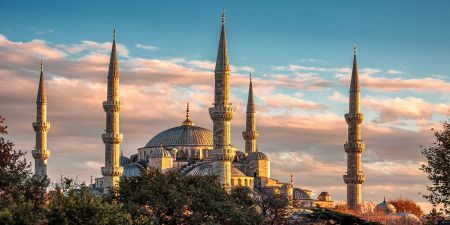 Our expert local guide explains us about several Ottoman palaces ancient fortresses suspension continental bridges and wealthy shore villages with typical Ottoman architecture that we view along the shore. Then have a guided visit at the colorful Spice Market from the 17th century where we can smell and taste various kinds of herbs and Turkish delights. If time permits we have a short stop at an Istanbul leather wholesaler firm. Overnight in Istanbul. After breakfast you will have chance to observe the striking contrasts that make Athens such a fascinating city.Our expert guides will take you to see the Panathenaic Stadium where the first Olympic Games of modern times were held in 1896 (short stop). Continue and pass by the Prime Minister's residence (ex Royal Palace) guarded by the Euzones in their colorful uniform, the Temple of Olympian Zeus, the Hadrian's Arch, the Parliament and the memorial to the Unknown Soldier, the Academy, the University, the National Library, the Constitution Square (Syntagma). On the Acropolis visit the Architectural Masterpieces of the Golden Age of Athens: The Propylaea, the Temple of Athena Nike, the Erechtheion and finally "the harmony between material and spirit", the monument that "puts order in the mind", the Parthenon. Continue and visit the place where at last the statues found their home and admire the wonders of the classical era: The new Acropolis museum. Later transfer to your hotel, overnight at Athens. 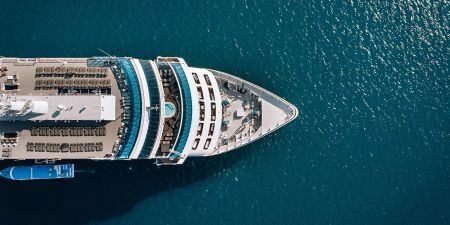 Cruise to the Saronic Islands of Poros, Hydra and Aegina including Lunch on board and Greek Show.In the morning we take you by bus, from Athens to Piraeus for your embarkation to the cruise boat. At: 08.30 depart to Hydra, where we arrive at: 11.45. Here you have free time for a walk or a swim. At: 13.30 embarkation and sail for Aegina past through Poros and seashore of Peloponnese. The lunch will be served during the voyage. At: 15.30 we arrive at Aegina where you have time for a swim. Optional excursion, by bus, to the fine preserved Temple of Afea Athena. At: 18.00 embarkations for the voyage of return to the port. Arrive to Piraeus, late in the afternoon transfer to your hotel, overnight at Athens. After your breakfast hotel, transfer to the airport for your departure according your flight time.